A self-directed casual study group split between two methods: a 6-month fast-track and a more relaxed, easy-going schedule. 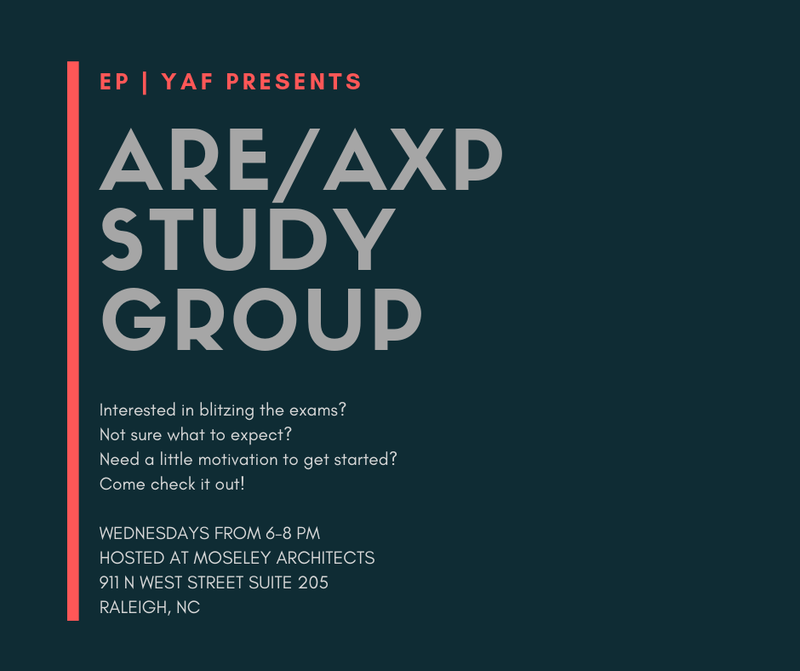 AIA Triangle will provide access to ARE study materials and resources for getting started. The sessions will consist of informal discussions, flashcard review, practice quiz & exam sessions, and small group break outs specific to the topic you are studying. Contact Alison Croop or Sarah Lower if you have any questions.